UPDATE: March 7, 2017 — British Columbia plans to introduce a series of improvements to help the taxi industry modernize and remain competitive, in anticipation of ride-sharing services coming to British Columbia by the holiday season at the end of 2017. There has been a lot of discussion about commercial “ridesharing” companies like Uber and Lyft operating in some cities in North America. What does it all mean – and what’s at stake? But first of all what is commercial ridesharing? Commercial ridesharing is an arrangement where for profit, taxi-like services are provided by private drivers, using technology like smartphone apps. GPS is used to connect drivers with people seeking transportation, and payment is made online. 2. Taxis, limousines and other small passenger-directed vehicles must be approved by the Passenger Transportation Board. WHY: ensure that transportation services, especially taxis, are available to all members of the public, including seniors and people with disabilities, and the operators are fit and capable of providing the service. 4. A National Safety Code Safety Certificate WHY: to ensure that companies meet or exceed common safety standards for their drivers and vehicles. 5. Commercial vehicle inspections performed every six months. WHY: to ensure vehicles are mechanically safe and sound. 6. Clearance from the municipality where they plan to operate for any additional requirements. WHY: to ensure operators are authorized to serve a geographic area and have the necessary training to serve all members of a community, including people who need accessible transportation. 7. A commercial driver’s licence WHY: to ensure that the driver is qualified to operate a vehicle of this nature, and meets higher driver medical requirements. 8. ICBC vehicle insurance that meets the requirements for commercial vehicles. WHY: to ensure that passengers are covered in event of damage or injury to them or their belongings, should there be a collision. This also ensures drivers are covered by insurance based on how they use their vehicle – personal use insurance may be void if the driver gets into a crash while transporting passengers for a fee. While the lower costs of commercial ridesharing might be attractive to consumers (who doesn’t like a deal?) or businesses wanting to do more business (opportunities to increase earnings?) or individuals looking to make a little extra money, provincial passenger transportation regulations are there for good reasons (as listed in the “8 Whys” above). Companies or individuals that don’t meet those requirements can be fined for advertising or providing a commercial passenger transportation service. The police, Commercial Vehicle Safety and Enforcement officers or Passenger Transportation Inspectors can issue tickets for $1,150 at roadside. Repeat offenders may be fined up to $5,000. Hopefully this has shed some light on a complex topic, so that as a passenger you’re not taken for an (unsafe) ride. And, if you’re a driver, you grasp the consequences of ignoring passenger transportation regulations. 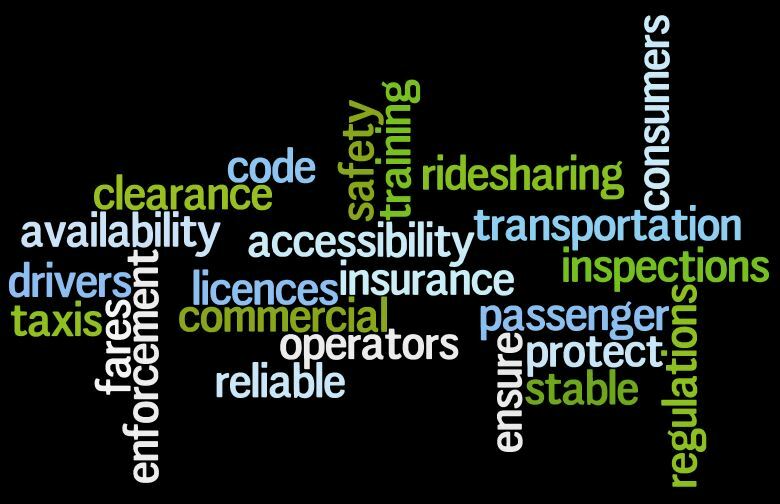 Want to know how to identify a licenced taxi, limo or other small passenger-directed vehicle? Look for one of these plates. I almost puked in my mouth after reading this propaganda piece against ridesharing. I’ve never seen a BC government agency so complicit with protecting an industry. It’s actually disgusting to be honest. What a load of bull. Vancouver, even before Uber — thanks to the PTB — has the HIGHEST taxi fares of any city in the country, with the lowest ratio of available taxis in Canada. Uber’s half the price of a taxi. With Uber I can always get a ride. Uber’s just as safe, if not safer than a cab. and I can make money using it via innovative use cases like Uber Pool. Please, Transportation Agency of BC, try to tell me with a straight face why ridesharing is bad for consumers. Thanks for your passionate comments and for sharing them with us here. You might be interested to know that we recently conducted a consultation on modernizing passenger transportation in BC and are exploring what legislative changes might be needed to create a “Made in BC” solution for the vehicle for hire industry. At the end of the day, the path we take will balance the interests of all stakeholders, protect passenger safety and address the public’s desire for more safe choices, convenience and competition. Could you please make the results of the consultation available on this website? Thanks for your questions about Kater.com. I am referring your questions to our Passenger Transportation Branch, and will get back to you here with a response. I would like to know what the regulations are for “Private Drivers”. These are people who will drive your vehicle for a fee and be directed by the passenger (presumably the car owner). Do they have a commercial license or insurance of any type? Is the vehicle owners insurance valid when driven by a hired driver? Do they require a Passenger Transportation number and other requirements as does a typical driver/vehicle for hire? Thanks for connecting with us here. Services like the “private drivers” you describe, where a person is hired to driver a passenger in their own vehicle, are not regulated under the Passenger Transportation Act and therefore do not require a passenger transportation licence. You may wish to contact your local government to find out if the driver or service is required to have a chauffeur permit or business licence. You can also visit the ICBC website to find out more about driver licensing and vehicle insurance requirements. 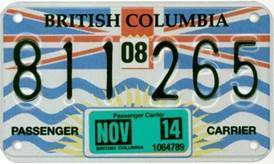 If you have any additional questions about passenger transportation licensing, please visit the Passenger Transportation Branch website, http://www.th.gov.bc.ca/rpt. I didn’t see 8 distinct reasons as advertised in the title. This looked more like a 6 dressed up as an 8. But maybe that’s just me. Can we help clarify anything? I have seen ads surfacing again for uber hiring partners in vancouver bc this week. I truly believe BC is taking a very positive and safe approach towards passenger safety. Level playing field is key in every industry while insuring safety and liability. I will always use a regulated taxi over ride-sharing just to know I’m covered in case of serious injury. All I can insist on is having more taxis available in downtown on busy nights. I have a wine tour company that is properly licenced with the Passenger Transportation Authority. I do not run a taxi service in the Lower Mainland. I must have a clean driving record, a commercial driver’s licence, a medical exam, commercial insurance including adequate liability coverage, twice yearly vehicle inspections, safety plan and equipment, pre-trip vehicle inspections and the list goes on. Why? Because passenger safety is important and getting licenced needs to have criteria for that reason. Can the system be improved? Absolutely. The critical piece here that is missing is this. What happens in the event of an accident in an unlicenced vehicle that takes passengers for compensation? Their insurance is null and void – so the public, unlicenced drivers, AND stakeholders who are complicit with unlicenced drivers really need to understand that there are very real liability risks and consequences in using an unlicenced service provider. Public education in this regard is critical as most are totally unaware of the criteria behind the rules and regulations until something happens. Why take that risk in order to save a few dollars… Be safe – not sorry! Great points Maatje – thank you for sharing! I should say that these ‘whys’ don’t serve the public – more to the point, nanny states only keep the bureaucrats in business. Having ridden taxis in over 100 countries and in the last two years, at least 150 cities, I can say with confidence that this model of regulating everything is out-moded and what’s worse is that it hurts the people and the economy. Uber drivers are available on demand, open doors for their guests, drive safely and conscientiously and generally care more about the customer than their licensed cabbie counterparts. Their jobs depend on it. Having come back to Vancouver around Christmas for a few days, I can note that the first McLures cabbie that picked me up had no issue with putting the pedal to the metal, having me thrash around in the back seat. Similarly, the expletives that came out of his mouth relating to other drivers on the road have left me permanently scarred. This is far from an exception, but the norm. Interestingly, Vancouver and the Province limits the number of licenses to satisfy the industry lobby, thus also putting the customer at a disadvantage. Even if a new group wanted to open shop, the response would be that no licenses are available to be acquired – so the requirement for the above tends to become a circular argument. Companies like Uber have the funds to satisfy all above requirements – they certainly don’t want to break the law but find themselves operating in a hostile environment where their hands are tied. Customers are certainly not idiots and given better access to information via the internet, can make better (and typically more merciless) decisions in choosing a provider than any government can. Minister Stone: As a resident of BC, I am quite confident that the province can provide an effective regime for ensuring my safety when I ride in a passenger transportation service such as a taxi or Uber. The problem is market access and thus service availability. The current licensing system ensures that new entrants cannot access the market. You need look no further than the ridiculous $800,000 street value of a taxi license in Vancouver to see that something is ridiculously off base here. BC residents demand more transportation options. Your current regime is hobbling our economy by unnecessarily restricting transportation options in service of incumbents. If we’re going to have a competitive economy, we must deal with this issue. Entrants like Uber must be able to access the market by obtaining a license in a manner that protects the public’s safety, while also ensuring that there aren’t insurmountable and ridiculous barriers to market entry. Other markets like California have demonstrated that services like Uber can operate quite safely in providing transportation to residents. The old 1950’s style regulations that exist in BC must be reformed, and that reform needs to happen now. Public safety is the paramount concern when it comes to any kind of vehicle for hire service. TNC companies like Uber have major challenges proving that they are as safe as cabs and limousines. Regulations are there to serve a purpose and to provide a level playing field. We must ensure that any company that wants to offer passenger transportation services in BC, must follow the rules and regulations and support all efforts by the government in this regards. We welcome any company like Uber to open shop in BC but first comply with our local and provincial laws. Thank you. How interesting. I see that Gurdip Sahota is none other than the General Manager of North Shore Taxi Ltd. (https://www.linkedin.com/pub/gurdip-sahota/36/a52/877). Gurdip: allow me to correct you. The regulations are in place because the taxi industry is protected by them from competition. You and the other taxi business owners are worried that Uber and other new entrants will destroy the grey market value of your taxi licenses, which afford you a ridiculous and unreasonable level of monopoly-style profits. If you’re really speaking in the interests of the traveling public’s safety, you should be addressing the hidden cost of insufficient taxi licenses in the Vancouver area. How many people are driving drunk home from a party because a taxi isn’t available at 3am in downtown Vancouver, and then causing an accident in which an innocent life is lost? We are all for increased capacity in the taxi service. We are NOT against any ride-sharing company coming into BC provided there are adequate safeguards for public safety ie fingerprint checks for drivers, adequate commercial insurance (see http://www.icbc.com/FAQ/Pages/insurance.aspx) vehicle inspections to ensure safety of vehicles. We want a level playing field, are not afraid of competition. We have our own mobile apps (like http://zoroapp.com/)and we pay taxes, add millions of dollars to economy that stay in BC and are not siphoned offshore, like Uber does. Thousands of hard-working citizens drive our cabs, they are self-employed small businessmen who feed their families from this business, put their kids through college so that they don’t have to drive cab and can get better jobs and have a better life. Cabs help save countless lives by cutting down on drunk driving and have been doing so for decades. Yes, any system can be improved and we are innovating and have better vehicles, higher insurance to protect all parties on the roads, have highest per capita rates of green hybrid vehicles in any class of commercial fleet or percentage of green vehicles in the general population. We do the best we can, given the regulated nature of the business, following all the rules and regs imposed on us by municipal, provincial and federal statutes. If you think we really have the kind of clout, that you so generously attribute to the cab industry, then not one of us would be driving a cab and would be in some plush office on leather seat with a 6 figure salary and a plum pension plan. Sir, I am the General Manager of North Shore Taxi on the North Shore, my phone number is 604-980-7011 ext 6, my email is Gurdip@northshoretaxi.com and I am delighted to talk and debate anyone, anytime and at any place. I came to this country in 1989 from India with only $200 USD in my pocket and my wife and I have worked very hard to own our small humble home and are putting our kids through college. I am a proud Canadian and grateful for everything this country has given me and my family. I have spent 25 years in this industry as a driver and have come up through the ranks to become General Manager. I have never owned any taxi shares and am a salaried employee of my company, which is operated as a non-profit co-op and we employ about 22 unionized employees in our dispatch office. All cab drivers are self employed dependent contractors and pay their own taxes to CRA. 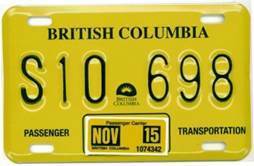 We operate 125 cabs under licence from the Passenger Transportation Board of BC, each one of which costs $100. They much hyped-about taxi plate values are actually values of taxi company shares, and ours are nowhere near the high share values that you read about in the media for the Vancouver taxi companies. The licences/plates are the property of the BC government/regulators at all times and the company only has “care and control” over those licences. Hope this helps a bit, but please feel free to contact me. Hope you are enjoying your summer.